If you’ve never been to Portugal, you’re in for a treat. You might even fall a little bit in love, especially if you know what to expect. My insider Portugal travel tips can help you prepare and make your first trip go as smoothly as possible. As well as loving this country, a friend of mine inspired me to write this post. We were talking about our dream holiday destinations and one of his was to visit New York and do all the tourist sights. A while ago, he said he was struggling financially, which is why he put this trip off for so long. But after he was recommended into getting advice on how you should invest, he is starting to build up his savings. It does look like he may be closer to making this trip a reality. No matter where any of us decides to visit, as long as you have a good time and can afford it, that’s all that matters. Knowing a little about local customs, especially in restaurants, will help you feel more confident and avoid that nasty suspicion that you’ve been ripped off. Read on for advice on planning a trip to Portugal including what to bring, what to expect when eating out and how you can save money on accommodation, transport, food, shopping and activities. 1. Try to avoid the hottest, busiest and most expensive months of July and August if possible. You’ll find great deals, good weather (most of the time) and less crowds if you travel to Portugal off-season. Weather-wise, May, June and September are usually hot but not unbearably so and although the risk of rain increases from October to April, and it does get cold at night, it’s possible to get lovely sunny days any time of year. Get the full low down on the best time to visit Portugal in this post. 2. Check travel times and distances between places if you’re considering visiting more than one region. It makes far more sense to take your time exploring one area properly and come back again to see another place than to spend half your holiday travelling between destinations. You may want to consider using Post-It Notes to make a note of travel times. It is all good having it on your phone, but if your phone runs out of battery, you won’t really have anything to refer to. The traditional method of writing is always the way to go. If you feel you must cram as much as possible into one trip, you can save a few hours by flying between Faro and Porto. There are flights between Lisbon and Porto but when you factor in getting to and from the airport and security checks, I don’t think you save much time. 3. If you’re making your own travel arrangements, find out how to get from the airport to your accommodation before you book your flights. If you’re relying on public transport for transfers, you could get caught out if services finish earlier than you expected or don’t run at weekends. You can pre-book an airport transfer if you’d rather keep things simple. 4. 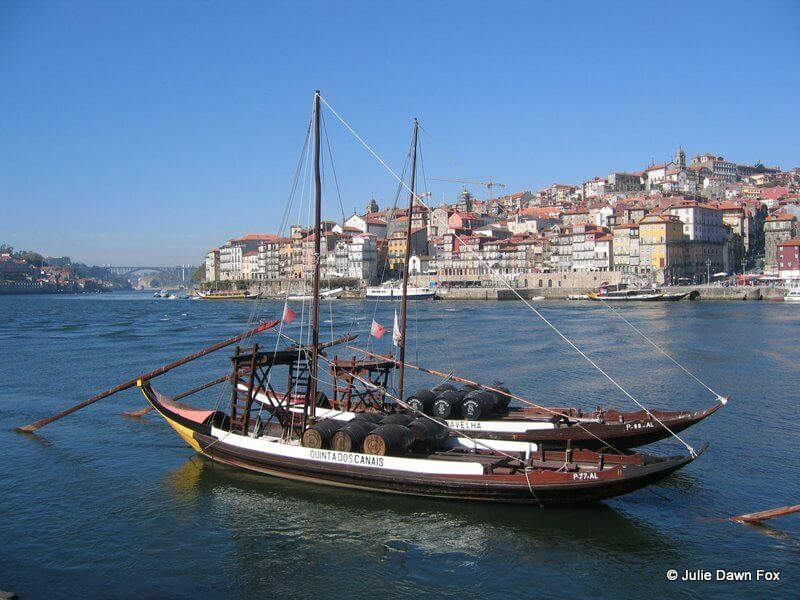 More and more destinations in Portugal offer a tourist card, such as the Lisbon Card and Porto Card, which give free or discounted public transport and discounts on all manner of typical holiday expenditures. Check the local tourist information website before you travel to see what’s available and start saving money from the moment you step off the plane. My ebook, Money Saving Tips for Travel in Portugal is packed with practical tips including getting to and from the airport, transport and tourist cards and where to find great deals. My favourite sites for saving money on accommodation and car hire are here: Where To Find The Best Portugal Travel Deals. Note that major destinations have introduced a tourist tax of €1-2 per person per night to cover the increased pressure on the local infrastructure. You pay this at your accommodation so budget accordingly. 5. Double check that your passport is in date – you may need at least 6 months if coming from outside the EU – and bring a couple of photocopies with you. By law, you have to carry photo ID when in Portugal but won’t want to risk losing your precious passport so leave that in your hotel safe and keep a photocopy with you and carry some alternative form of photographic ID like a driving licence. 7. The good news is that you don’t need any vaccinations for visiting Portugal unless you’re coming from a Yellow Fever zone. 8. If you have an EU passport, you don’t need a visa to enter Portugal. Other passport holders should check Visit Portugal’s guidelines although American, Canadian and Australian citizens can travel visa-free for 90 days (total) within the Schengen area. 9. If you plan on renting a car, don’t forget your driving licence – if you’re coming from outside the EU, you may need an International Drivers’ Permit so check with the rental company and if necessary, get one before your trip. You need to have your licence with you when driving in Portugal plus the paperwork for the car and your ID. 10. I always like to have some local currency on me when I arrive in a foreign country but if you do land in Portugal without euros, there are ATMs (look for Multibanco signs) in all international airports and towns so you can withdraw euros directly from your bank account or top up your cash if you run out. 11. Although credit cards are accepted in many places, smaller outlets, including some restaurants, only take cash. Note that if you pay by credit or debit card you will probably be charged for each transaction so check with your bank before deciding how to pay for purchases. 12. If you exchange money before travelling to Portugal, try to avoid bringing large bills, i.e. bigger than 50 euros. If your currency exchange provider has given you a stack of 100, 200 or worse, 500 euro notes, take them into a local bank when you arrive to get a stash of smaller notes. 13. When visiting a major tourist destination like the Algarve, Porto or Lisbon, don’t worry if you forget to pack something or are hampered by hand luggage restrictions. With the exception of obscure prescription medication, you can buy pretty much anything you’re likely to need in Portugal although some things, like sun cream, may be a little pricier. 14. If you’re venturing deep into rural Portugal, you’ll need to be better equipped as local shops stock a more limited range of products. 15. It’s not standard practice for Portuguese accommodations to have tea-making facilities in guest rooms even if they do have a fridge. If you can’t live without your cuppa, pack a travel kettle and a few decent tea bags. Be warned that fresh milk is harder to find than UHT in Portugal. 16. Even if you’re travelling to Portugal in winter, you should bring sunglasses and use factor 30 sun cream as minimum if you have fair skin. Bring a fold-up umbrella too, just in case. You’ll need a hat in summer and insect repellent if, like me, you attract mosquitoes and other biting insects. 17. Clothes-wise, several thin layers are a good idea as they allow you to adapt to changeable temperatures. Loose, lightweight natural fibres will help you cope with the summer heat but you’ll need jeans/heavier trousers and sweaters in winter. Bring comfy shoes or sandals, depending on the season, preferably with fairly thick non-slip soles. When you see the uneven cobbled pavements, you’ll understand why. Don’t wear spiky heels unless you want to ruin them or break your ankle. For more detailed advice about what to bring, read my guide to packing for Portugal. If you’re coming to do a walking holiday, this article about what to pack for long distance walks may be more relevant. 18. While it’s perfectly possible to get by in English in the major tourist areas, learning a few simple phrases in Portuguese will go a long way. No one expects foreigners on holiday to be proficient in the language but just saying thank you in Portuguese is appreciated. It’s obrigado if you’re a man and obrigada if you’re a woman, by the way. There are plenty of free and affordable resources to help you learn European Portuguese. As for Portuguese phrasebooks, the best of the bunch is probably the Lonely Planet Portuguese Phrasebook & Dictionary, which has sections on eating and drinking as well as all the functional language you’d expect and help with pronunciation. The most common complaint I see on TripAdvisor is from people who think they’ve been ripped off by Portuguese restaurants. Most of the time, it’s simply a case of not knowing the local customs. 19. It’s standard practice for waiters to bring you little dishes of olives, bread, cheese and cold meats but they are not freebies unless they are part of a set menu. If you don’t want them, just politely send them back untouched and you won’t be charged. Strictly speaking, you shouldn’t be charged for items you didn’t order but it avoids confrontation if you know how to deal with this in advance. If you are tempted but worried about the creeping cost of your final bill, check the price before tucking in. The bread and olives are usually very cheap. 20. 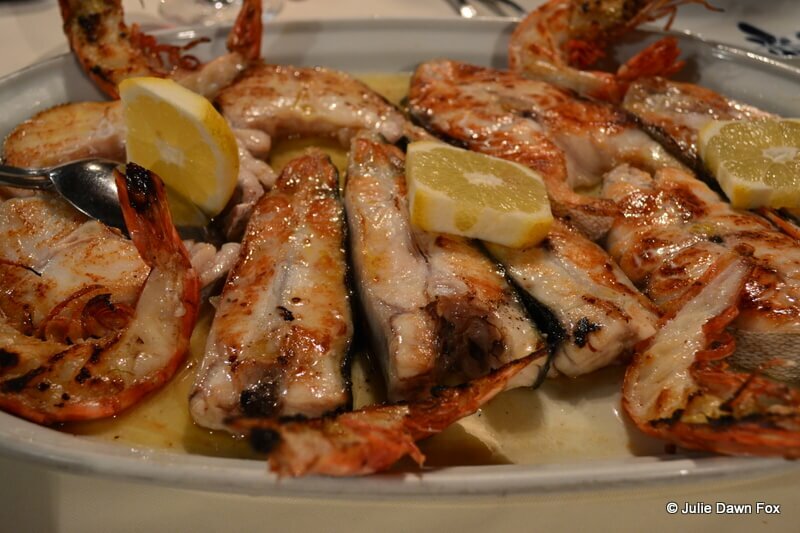 Super-fresh fish and seafood are among Portugal’s gastronomic highlights. Seafood restaurants often have a selection of the catch of the day displayed on a bed of ice. You choose the fish and they grill it to perfection. In such cases, it’s hard to know how much it will end up costing as the fish is charged by weight. To get an idea of the price and avoid a nasty surprise at the end of a lovely meal, ask the waiter for an estimate during the selection phase. Alternatively, order a Cataplana de Marisco (seafood casserole) or Arroz de Marisco (seafood rice) which are usually stuffed with ocean goodies for a fixed price. 21. Don’t be surprised if your main course seems lacking in vegetables. Many Portuguese people get their greens and other vegetables by starting a meal with a soup. Ask what the main dish is served with and order a side salad or vegetables if you feel the need. 22. Unlike in the UK where a waiter will usually take your drinks order while you’re contemplating the menu, food gets priority in Portugal. The waiter may bring some unsolicited (but not free – see above) appetisers to your table before taking your order but will often not ask about drinks until the food has been dealt with. If you’re parched and need a drink while deciding, you’ll need to initiate the drinks order when the waiter brings the menu. 23. 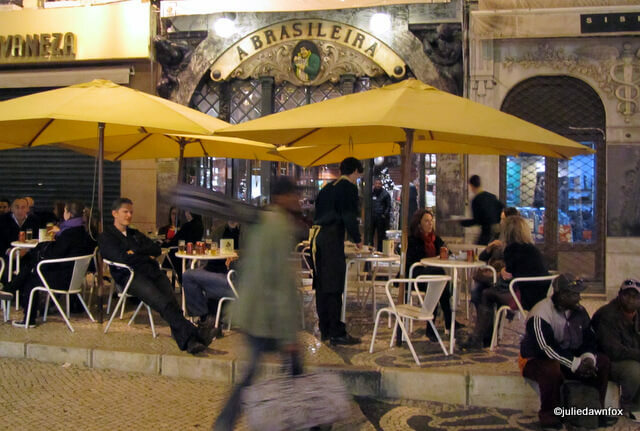 A great way of economising on eating out is to do what the locals do and have a main meal at lunchtime with a menu do dia (set menu of 2-3 courses) or prato do dia (dish of the day). Check what is and isn’t included before saying yes to everything the waiter offers you but otherwise, you can get a 3-course meal with wine for under 10 euros. The first two of these books about Portuguese food have lots of practical information to help you be more adventurous when trying local dishes. 24. It’s well worth checking out some of the local events while you’re here. Every town, village and city has at least one food or saint-related festival at some point during the year, especially during the summer months. The Visit Portugal website has details of major events including music festivals, sports championships and film festivals. 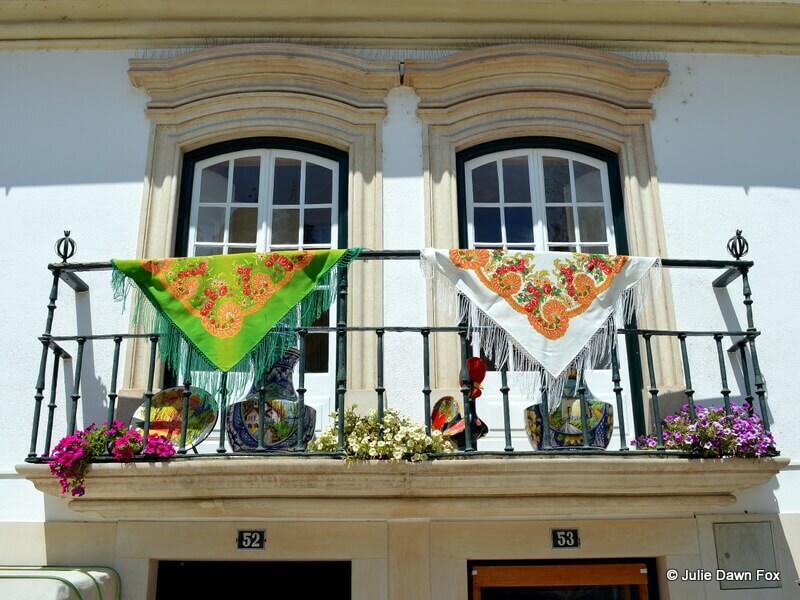 For smaller events, look out for somewhat garish posters on lamp posts and bus stops or check with the local tourist information office or regional websites such as Visit Algarve to find out what’s on during your stay but don’t expect the information to be published more than a few weeks in advance. 25. If you intend to visit museums and monuments, there are two important things to consider. One is that some offer free admission on Sunday mornings or discounts with the local tourist card. The other is that most are closed on Mondays so you’ll need to check and plan around this if you have your heart set on seeing something specific. If you need help with your Portugal itinerary, I can get you on the right track with a range of trip planning services. Looking for a Portugal travel guide book? My first choice would be a DK Eyewitness Travel Guide to Portugal, partly because I’ve contributed to them in the past and partly because I like the pictures, maps and layout. The Frommer’s Portugal Guide is written by two well-respected journalists who live in the Lisbon area, one Portuguese and the other British. Having met them both, I would certainly trust their recommendations. I also like Rough Guides’ approach to travel guides and their Portugal travel guide is no exception. 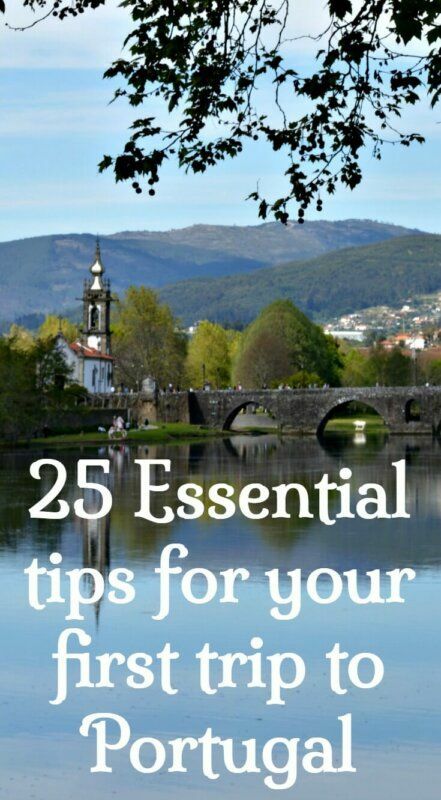 Subscribe to get these 25 Essential Tips For Your First Trip To Portugal in handy PDF format plus newsletters containing free insider travel tips, blog updates and information about relevant products, services and special offers by email. So far, so good! Now check your email to confirm your request and download the PDF. Can't see it? Check your spam folder just in case. Obidos to Porto by car but would like to go to monsanto or coimbra before getting to Porto. Not sure if I have time to see both since I dont want to get too late to Porto. Which of the 2 would you recommend? Monsanto (I know is a detour) or Coimbra? Thanks! Excellent post! Really shareable and content rich. It cover up all the important point that everyone need to know thinking to visit Portugal. It also make sense when it come to go with family or without. A paying a closure look I come to know that how I will get to know about there local custom. Great tips! Especially regarding the food 🙂 Made me more excited about our upcoming visit to Portugal. One quick question: Do you know any nice hotels in the Lisbon area where they have free parking included in the price? Hi, Julie! I stumbled across your blog as I was researching our trip to Portugal and I absolutely LOVE it! Every article is jam packed with information and advice, which I am in much need of. After reading about renting a car in Portugal and doing more research, I have to say I am confused and worried. We want to visit the Algarve and feel a car would give us the most freedom, but now I am so worried about being ripped off once we are at the rental counter! None of the rental websites seem to give thorough information in regard to their pricing. What to do?!? Hi Elaine, If you use Rentalcars.com and check the ‘rental terms’ before booking, you will have the information you need to make decisions. Thank you, Julie! Turns out, we rented the car with our American Express. Amex covers the CDW automatically when used as payment for a rental car. We went one step further and purchased their premium coverage for a minimal fee (less than $20). I feel much better now! hi Julie, such an amazing article for first time visitors! thank you! i am planning a trip in Jun’19 for 2 weeks. i would want to start with Lisbon and then cover Sintra, Algarvae, Coimbra, Porto. Would you suggest we rent a car ? It depends on what you want to do – you could get to these places without a car but if you want flexibility for exploring in the Algarve and making stops en route, a car would give you that. I see you’ve also sent me an email, Roy, so I’ll respond to that. I think trying to do a whistle stop tour from north to south is possible with 14 days but bear in mind that you will be wasting a lot of time in transit. I would consider sticking to one or two regions and seeing what they have to offer. A car will give you the greatest flexibility to get to some of the smaller towns and villages but is not necessary in cities so it depends on where you want to go. Do U.S. expats have to pay taxes on their U.S. Social Security income ? Hi Julie, you have a very helpful and informative blog. Certainly a lot of work went into it. Under #24 on the page https://juliedawnfox.com/tips-first-trip-portugal/, the link for the Visit Portugal website is broken and no longer responds. After a little poking around, I found this which I think is the new one: https://www.visitportugal.com/en/encontre/grandes-eventos/list . Please check to be sure. Hi Julie…travelling to Portugal in October…Algarve area. Noticed you used to do the TEFL thing…have had mixed input as to current opportunities in that area in Portugal. I am in process of getting TEFL certificate. Any thoughts greatly appreciated. Hi Jeff, I think it depends on where you are thinking of living and working. You may be able to pick up work in the bigger cities fresh from your CELTA but you won’t get a full time contract so expect to be supplementing your hours with private classes or for more than one institution. Accommodation costs in Lisbon and Porto have gone crazy so I don’t know how feasible it is to live off TEFL income. It’s not easy but once you have more experience under your belt, there are better opportunities.